Today we will highlight an awesome 3D rally racing game, I can’t believe that we still have to write that this particular game is in 3D, as if 99% of the games these days are not in 3D? I guess this is because Linux still doesn’t have that many games compared to Windows and Mac. 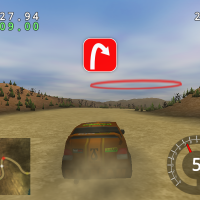 This 3D rally racing game is absoultey fun and it has plenty of cars,upgrades and levels for you to play for hours. Lets dig a little deeper and find out if this game is worth your time to download. What Is Trigger Rally About? 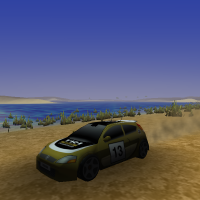 Trigger Rally is a 3D rally simulation with a great physics engine for drifting, over 100 maps, different terrain materials like dirt, asphalt, sand, ice etc. 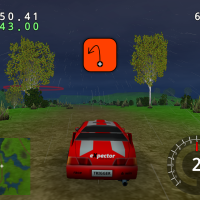 and various weather, light and fog conditions give this rally simulation the edge over many other free games. You need to make it through the maps in often tight time limits. All attached single races must be finished in time in order to win an event. 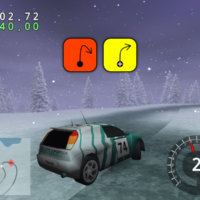 Most maps are equipped with spoken co-driver notes and co-driver icons. Many configuration details for display and audio adjustments can be edited in the well documented plain text configuration file. Additional contributed maps and events are ready for download as plugins.